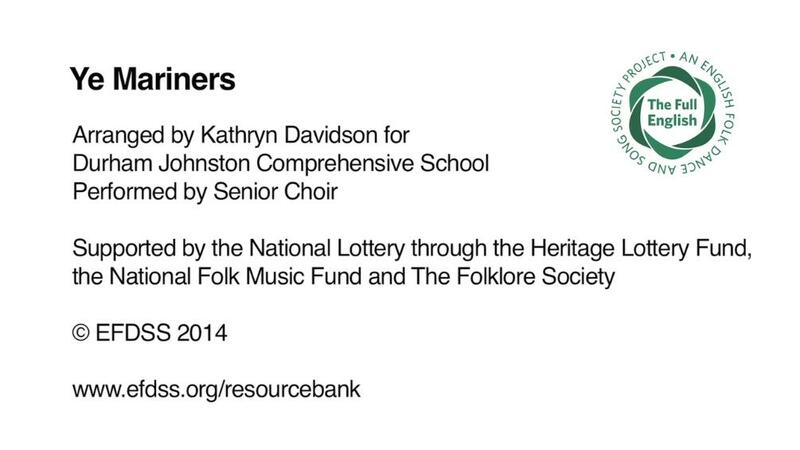 An arrangement of a folk song for secondary school choir (SATB) by Kathryn Davidson. This piece was arranged for Durham Johnston Comprehensive School as part of The Full English learning programme. The song was printed on a broadsheet, a lyric page that had been printed in Durham, and collected by Frank Kidson. The piece was devised for a choir that were able but didn't often learn by ear. A film of the performance can be viewed from the video tab at the top of the panel.